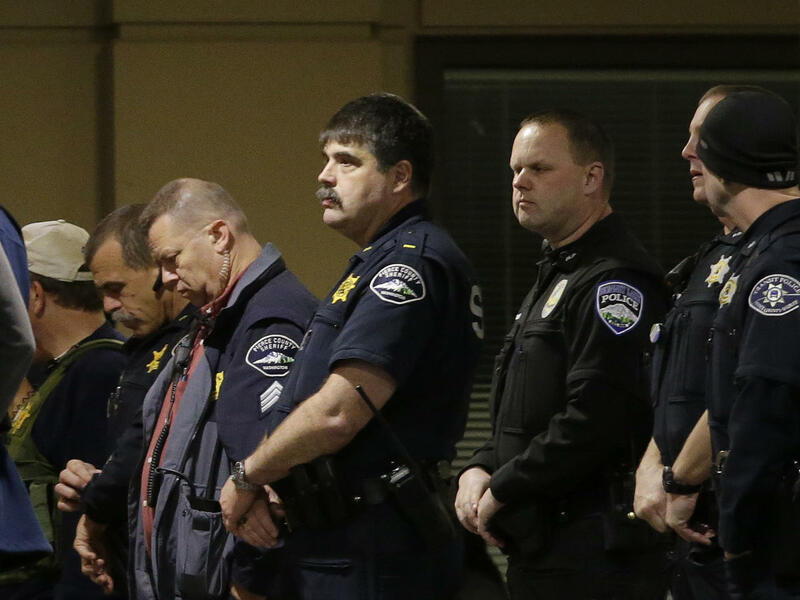 TACOMA, Wash. -- A Tacoma police officer who was shot on Wednesday night while responding to a domestic violence call has died of his wounds, according to police. A standoff with the suspected shooter continued until the early morning hours Thursday, but finally ended at about 3:30 a.m. local time, when the man was shot and killed by police, according to CBS affiliate KIRO. Tacoma Police spokeswoman Loretta Cool said earlier that the officer, who has not yet been identified, was pronounced dead at the hospital Wednesday evening. “We’ve suffered a great loss and I think the community has suffered a great loss. I don’t know how to put that into words,” Cool said. Cool said police responded to the Tacoma home and that officers called for backup soon after arriving on the scene. She said shots were fired and officers were able to get into the home to remove the officer, who had been shot several times. Police spokeswoman Loretta Cool does not have condition on officer. KIRO spoke to a man who said his aunt was inside the home at during the standoff. Marcus Kroskey told KIRO the woman and the suspect were in a basement when shots were fired. A friend of the woman allegedly called 911 and police responded. Kroskey’s aunt was taken out of the house along with two children and led to safety, according to KIRO.